Less than three weeks to go. A date for your diaries! 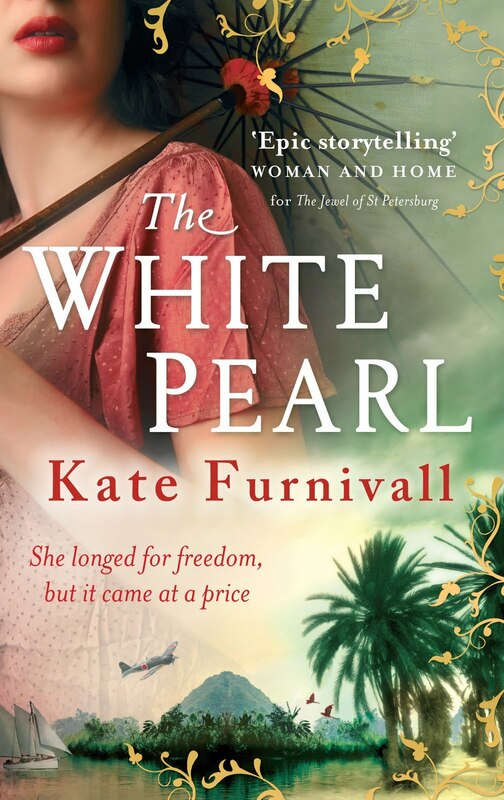 February 16 - publication day of THE WHITE PEARL in the UK by Little Brown. I am impatient now to see that gorgeous cover casting its green shadow over the bookshelves. The last couple of weeks I have been busy doing PR for magazines, websites, book forums etc - one of the joys of being an author in the digital age - and I am always interested to see what questions they come up with. Of course there are the usual stock-in-trade ones such as: 'What inspired you? ', 'Why Malaya? ', 'What research did you do?' and 'What's your favourite book/author?' These I answer with grace and honesty and even try to insert a degree of variation here and there, to entertain myself as well as my reader. A real sneaky one. My secret lies hidden away in the darkest recess of a drawer, cowering from prying eyes. It's a newspaper cutting from The Times, UK. But today, prompted by that pushy Australian, I will dust it off for you, hide my blushes and reveal all. It is a review written about my first book, THE RUSSIAN CONCUBINE. "If books were food," sniped the reviewer, "this would be a Mars bar." Well, we all know that a Mars bar is not proper food and that if you devour too much of it, it will make you sick. Needless to say, I was mortified. But as the book went on to hit the New York Times Bestseller list and to sell into 20 languages across the globe, I reckon the world must be mighty fond of Mars bars. I wait with narrowed eyes to read what that reviewer has in her arsenal for THE WHITE PEARL. In the meantime, get ready for my new-look all-singing website which is cooking up nicely in preparation for Publication Day on 16 February. It might even tell you who my favourite author is! A Mars bar! The woman must have a major chocolate addiction. I've loved all your books and can't wait for the new one. The date is firmly in my diary! It'll be fun checking out your new website as well. Good luck. Reviews are always a nervy time, but publication is also a time to get out and sign books and talk to readers - which I love to do. The feedback is rewarding, and invaluable to future projects. Enjoy The White Pearl.